Good food, good prices…GREAT BEER! The Post Street Ale house is, after all, a beer place with 20 rotating brews on tap. Seven 55 inch LED television sets give all the sports teams a high quality image guaranteed to entertain you with the latest game. 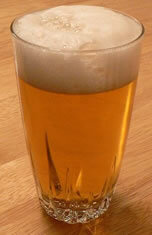 Then there is the beer and a set of classy bartenders who know what they are doing. Eight of the pub’s taps are filled with the area’s favorite brews and Spokane does know its beer! The other dozen taps rotate with seasonal favorites or new brews just out. 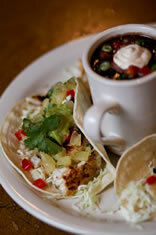 The food is comfortable and comfortably priced with most entrees under $10. The traditional pub house fare includes starters-to-share of onion rings, chili fries, hot wings and sliders. Feel culinary adventurous? 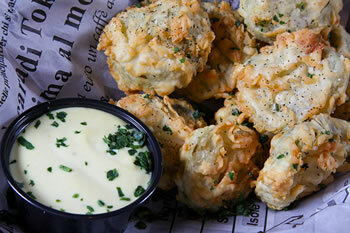 Try the fried pickles…yes, that was pickles. Breaded, deep fired and pretty darned good...they grow on you! Heartier fare to go with the beer range from the “very-best ” cheeseburger, German sausages, and patty melts to fish tacos, spaghetti, and Guinness roasted short ribs. And then what pub would be complete with out the quintessential fish and chips! There’s also a fine salad selection for the more delicate eater. Located right square in the center of town, The Post Street Ale House, adjoins the Lusso Hotel in the historic Whitten block. 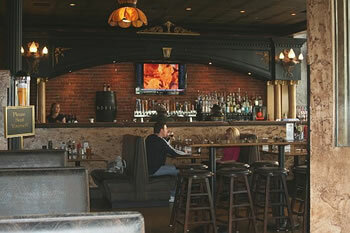 Both booth and table seating are available and the pub is family friendly, welcoming all ages (bar area is 21+). This is the place where people go downtown for a good business lunch, a beer with friends after work or a place to catch a game on TV. And did we mention the 20 beers on tap? The Post Street Ale house is just darned good for what ever ales you!